The year is 1803 and Elizabeth and Fitzwilliam Darcy now have two small sons, Fitzwilliam and Charles. Their sumptuous orderly world is a haven, their lives a round of social calls and visits from Elizabeth’s sister Jane and her husband, Charles Bingley, who live nearby with their three children; her father visits often and spends hours in the impressive library at Pemberley. Darcy’s sister Georgiana is about to receive a proposal of marriage from Colonel Fitzwilliam , [how that name does keep cropping up] though she is more interested in another suitor called Alveston. Preparations are also under way for the annual autumn ball in honour of Darcy’s late mother, Lady Anne. On the eve of the ball, a coach arrives carrying Lydia, Elizabeth’s disgraced sister, who stumbles out of the carriage shrieking that Wickham has been murdered. Darcy sends a search party into nearby woodland to search for murderer and victim and find Wickham, drunk and incoherent, crouched over the body of his friend, Martyn Denny. I hoped it was Wickham so the Bennetts, Darcys and Bingleys could have got rid of him for good, but no such luck. P D James is regarded as one of our best novelists, and I have always enjoyed her mysteries and looked forward to a murder mystery at Pemberley, but I was really disappointed, though I stuck it out to the end to see if there would be a surprise - there wasn't. 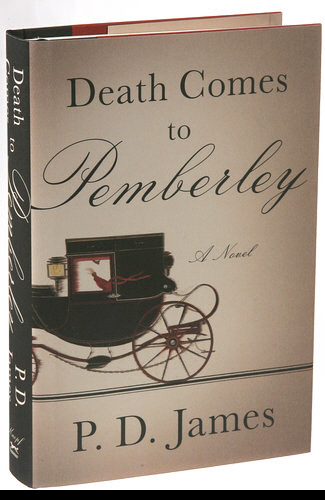 There is no emotional conflict in this plot – whether Wickham was innocent or guilty was of no interest to either the reader or the characters, all they wanted was to avoid further scandal, and who could blame them after his behaviour towards the entire Bennett clan in Pride and Prejudice – why would Ms James imagine anyone would care what happens to him in this novel? The mystery is revealed at an inquest, a subsequent trial at the Old Bailey where no witness has been left out or minutiae of courtroom procedure overlooked, and then is finally revealed in the culprit’s deathbed confession, Colonel Fitzwilliam who is a witness to the whole sorry situation and then Wickham puts us through an almost identical and laconic account of the same story - which condemns him as a complete cad in any case. No informative clues are dribbled into the narrative for the reader to work out, so when the truth comes out it is completely new – well most of it. Darcy the most romantic hero of all time, and Elizabeth, a delightful, assertive woman with a sharp wit, and don’t forget the ‘fine eyes’, ‘longed for’ each other when they were apart, but displayed little affection the rest of the time. Elizabeth is colourless, and complacent with none of the intelligence we know she possesses. Lydia is still a brat, but she disappeared entirely after her bout of hysteria and Jane slid under the skirting board somewhere along the line never to be seen again. Mary Bennett has married a puritan clergyman but doesn't make an appearance, nor does the happily single Kitty Bennett who likes running things at Longbourn. 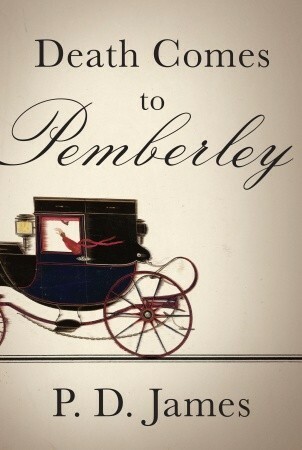 Ms James has made Darcy’s late great-grandfather into an eccentric who found the pressure of being lord of the manor untenable and went to live alone in the woods with his dog. What a shame this story wasn’t about him, he sounds quite a character. Wickham remains true to character, arrogant and self-serving with scant gratitude for what is done for him, and Lydia remains a simpering idiot in awe of a man she evidently deserves. It is a truth not universally acknowledged that a classic novel is not in want of a sequel. I tend to agree, and I'm sorry Ms James, I normally love your work, but I’m afraid I won’t even be keeping this one on my e-reader.